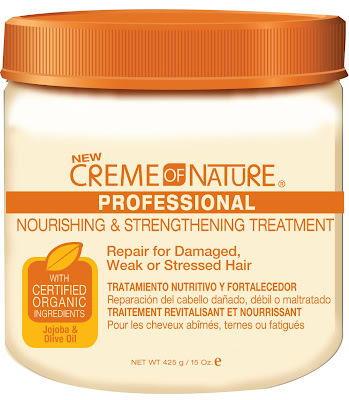 Heal Dry Hair Spells with a Creme of Nature Giveaway! - Hairlicious Inc. I'm excited! I vowed to end my PJism so I never purchased this product but if I win it then that's an entirely different thing, lol! I REALLY HOPE I WIN!! So ironic that i used the shampoo for the first time last night- Borrowed it from a friend.. he he he. My NG was getting a bit tough and wanted a shampoo and condish to help.. so she lent me her shampoo. I already had the DC.. so i mixed it with honey, coconut oil ect. MY hair is sooooo irrestible now!! I'm going to pray i win! Great giveaway. I love CON products!!!! Wow! I am so glad this contest has come along. I was just reading your review on the Deep Conditioner and that made me want to try it! I have bought so many products lately that I don't have the money to do trial and error like I have been. Anyways, Good Luck to all the other entries & Good Luck to me Most of All!! Lol. Sorry Ladies! can you send this to p.o. boxes? Oh my goodness! I REALLY hope I win this! I've never used Cream of Nature, but i've always wanted to. It would be great to try these on my new hair journey!!! I just started to really get into being natural and I really want these products to start my regime, as I have heard great things about it but they don't sell them in my area. Good lucks to all but Hopefully I will win! Hi, ur post is really informative, while reading ur blog I truly like & enjoy it. I just wanna suggest that u should go for blog advertising & marketing there is a site which is offering very unique features at affordable prices there are expert advertising team who will promote ur blog & affiliate ads through all over the networks which will definitely boost ur traffic. Finally I have bookmarked ur blog & also shared this blog to my friends.. i think my friend might too like it hope u have a wonderful day & ! !happy blogging!!. great prizes. I will wait for a new contest.